Are you taking a vacation have a flight to catch? Or do you have relatives coming in and need to pick them up from the airport? Whatever it is, all these situations require you to make it to the airport in time. 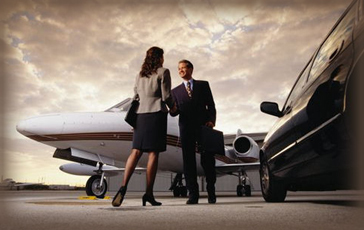 And the one shot way to ensure that you are on time is to hire DFW airport transportation service. After all who would want to miss the flight for the vacation or worst is late to pick your corporate clients up from the airport? No one! As previously mentioned, one of the most important things here is timeliness. And when you hire a private transportation you can be assured that the car and the chauffeur will be waiting for you ahead of time. This eliminates nearly all possibilities of being late. You must think that private airport transportation companies are super expensive. Well, that could not be far from the truth. In reality we offer extremely reasonable price point so that private transportation is a reality for all. Now imagine you are at the airport to pick up some important corporate clients. But they are running just a few minutes late. Will a regular cab wait for you as patiently as a private hired vehicle will? Well, certainly not. How many times in the past have experienced the sudden price surges when hiring a cab through other regular cab services? Must have been a lot. But this possibility is non-existent when you hire private airport transportation. There are no surges as the prices here are fixed irrespective. And one of the best parts of hiring private transportation company is that you will have the best of vehicles picking you up. In comparison to the beat up second grade vehicles that are employed by regular cab services. Last but not the least, all the chauffeurs and other employees hired by us are thoroughly vetted. There will never be a safety issue in this regard, ever. And you can travel with carefree abandon. 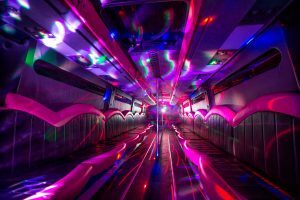 Dallas Limo and black car service offers the best airport transportation and party bus service in Dallas, that too at extremely competitive prices. You can get in touch anytime and anywhere for safe, secure and hassle free travel solutions. What are you waiting for? https://dallaslimoandblackcarservice.com/wp-content/uploads/2019/02/DFW_Airport_Transportation.jpg 230 364 DLadmin http://dallaslimoandblackcarservice.com/wp-content/uploads/2017/06/logo-2.png DLadmin2019-02-01 15:17:442019-02-01 15:19:53Why Hire Private Airport Transportation Against Regular Cabs?